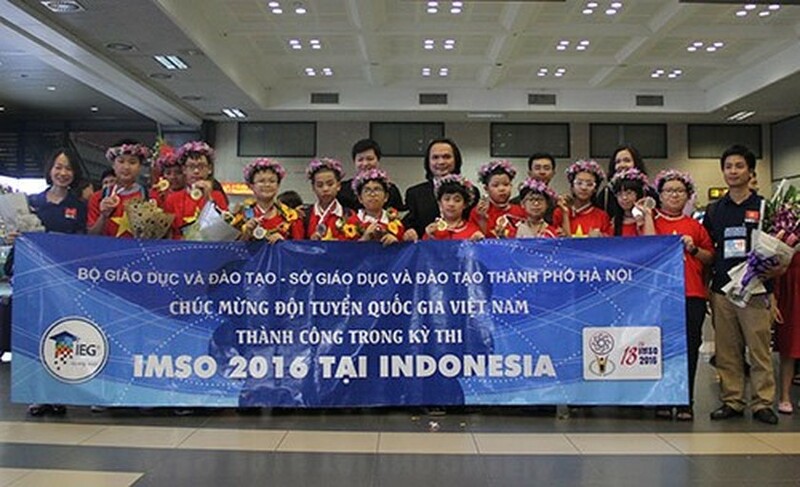 Vietnamese students won first place in maths with 12 medals at the 13 th International Mathematics and Science Olympiad (IMSO) that took place in Indonesia from November 9-13. The maths team grabbed seven golds, two silvers and three bronzes, while the science team came fifth with 10 silvers and two bronzes. This year’s IMSO featured more than 400 contestants from 23 countries and territories. The IMSO is a competition for primary school students aged under 13, aiming to increase their interest in mathematics and sciences and to develop problem-solving skills.